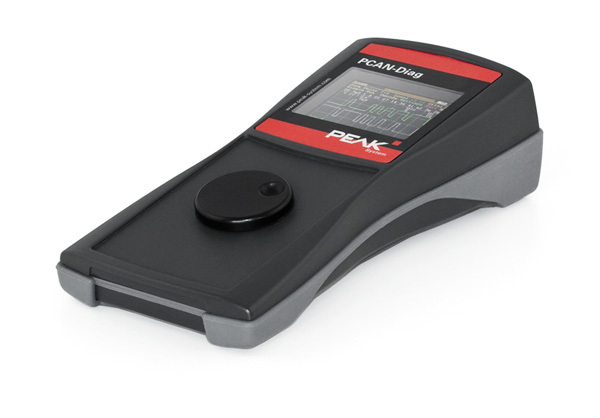 PCAN-Diag 2 is a handheld diagnostics unit with a wide range of functions to allow investigation of a CAN bus, such as detection of the CAN bit rate, bus load measurement, and termination measurement. As well as receiving CAN messages, it can transmit either individual messages or entire sequences of them. In addition, the internal memory card allows tracing and playback of the CAN traffic. The integrated two-channel oscilloscope enables visualization of CAN signals. Single CAN IDs and various events can be used as triggers. The CAN frames are decoded from the analog signal, for example, to detect errors in the frame. Incoming CAN messages can be displayed as symbols for clear and easy allocation. The PCAN-Symbol Editor software supplied with this product enables convenient creation of the Symbol files needed for this feature. 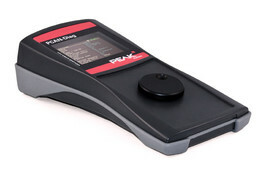 The user selects and operates the individual diagnostic functions using a push dial. As an alternative to High-speed CAN, CAN transceiver modules are also available on request for connecting to Low-speed or Single-wire CAN. Note: In addition to the PCAN-Diag for the diagnosis of CAN busses, there are also models for CANopen and DeviceNet. If you are interested and for more information, please contact info@peak-system.com.